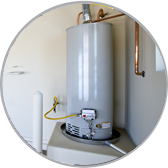 Facing problems with your tankless water heater systems? Would you like such a system installed at your home? 4 Fathers Home Services is the service provider for you when it comes to these and several other services. With tankless water heating systems in Phoenix, AZ, there are a lot of benefits to gain from, and in this short post, we will look at some of them. Also, we will look at the reasons you need to have this system installed. The tankless water heating system saves a considerable power saving to homeowners between 0 to 50 percent which is a great plus when it comes to power bills. As a result, it then makes it quite important to have the system installed especially in new homes and as a replacement in other water heating system. With time, water systems get depleted requiring replacement. However, the different heating systems have a varying lifespan, and the tankless system has a superior lifespan. The lifespan of this system has been noted to be 5 – 10 years more than the tank systems. The systems are also convenient being an on-demand and with no heat loss. Considering that the tank is eliminated from the equation, the system consumes a considerably less amount of space, and this is a major benefit to modern homes. As a result, the system can be installed on walls or in areas with limited spaces. With the installation of this system, the user stands to enjoy a federal tax rebate of $300. This is a considerable relief and a sign of the support that the authorities have on the systems due to its benefits. In addition to the use of lower power consumption, tankless water heater systems in Phoenix, AZ does not produce greenhouse gases and as a result being environment-friendly. This is an important element especially considering the global efforts in reducing the gases.